I'll be honest with you when I say I'd given up all hope of managing a post for Little Red Wagon this week! My computer took it's final breath (well actually it's 3rd time around final breath!) last Thursday and I've been valiantly attempting a little CPR ever since. This, hot on the heels of my dryer biting the dust last week and having to purchase one of those, and then there's the dishwasher, and new brake pads.....but we won't go there! Needless to say, any hope of purchasing a new computer in the near future were dashed, and my blogging days were transformed to a dreamlike state. However, yesterday I caught a small glimmer of hope in the form of a flashing cursor and behold.......we have life! This thing is like a phoenix I tell ya - rising out of the ashes for one more blog post! Well hopefully it will be for more than one blog post, but I won't hold my breath just yet. Tracy is hosting our challenge and quite appropriately she would like us to share a little 'Thankfullness' for .....oh......say.......computers and dryers that work.........general stuff like that! I apologize for the wishy-washy photograph! I took and retook but the colour scheme still produces the same effect. Shame cause it's so pretty in real life......honest! 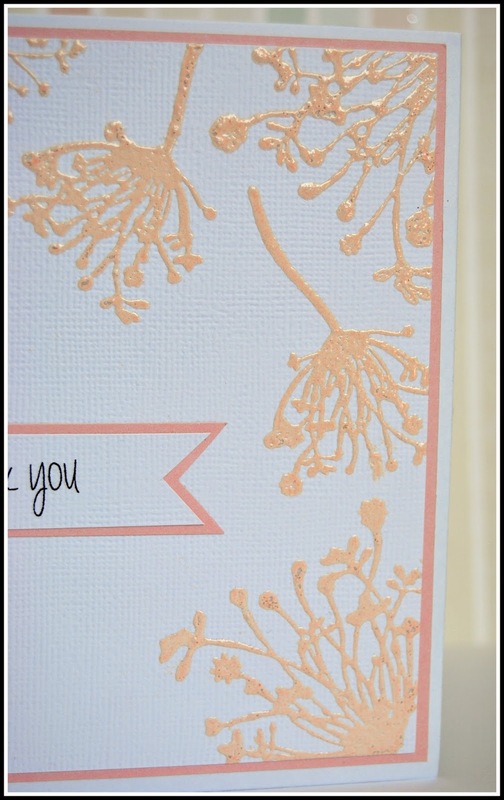 Continuing with my re-born love for the use of embossing powder on scrapbook pages, I thought I'd progress on to cards. I added a button and a pretty little pebble then all done. You know there's always a bunch of inspiration posted from the Girlfriends over on the Little Red Wagon blog so why not hop on over and take a look. You can link up your own 'Thankful' creation whilst you're there. Jayne, this is absolutely beautiful! 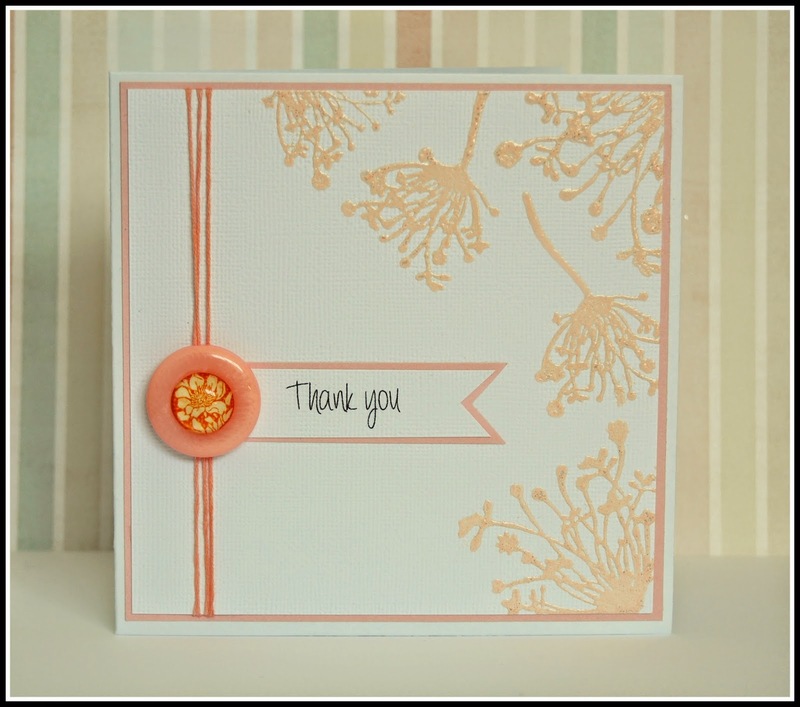 I love the embossing color you used! Cute cute card. Love it. I hear ya about Brake pads, my van is going in tomorrow. Ouch. So pretty Jayne, just love the twine and button? Hope your computer plays nice for you, give it a pat and tell it what a good computer it is! Yeah for the computer coming to life. Your Thank you card is beautiful. Gorgeous! The embossing looks wonderful! Wow, sounds like you have had quite a time.....but still a beautiful card. Amazing. Lovely card! The embossing is wonderful.